For investors, the place to be this weekend isn't Wall Street, Davos, or even the Hamptons. It's Omaha, Nebraska, where Berkshire Hathaway (BRK-A)(BRK-B) will hold its annual shareholders' meeting, and where CEO Warren Buffett will answer questions from shareholders. Buffett has led Berkshire Hathaway for 50 years. In that time, the value of the company's shares has grown an astonishing 1,826,163 percent, an average gain of about 20 percent a year. No wonder investors around the world look to Buffett as a role model and investing guru. 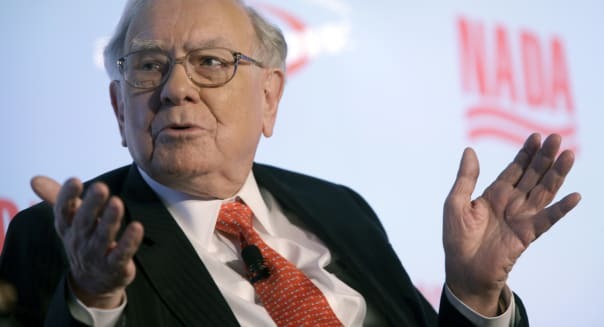 "It's hard to think that Warren Buffett is nervous," says Ethan Anderson, a senior portfolio manager at Rehmann Financial, but even the oracle of Omaha must worry about a few things. For his part, Anderson says that in the short term, the European debt crisis worries him. "Exactly when it's going to come to a head I don't know, but when it does it's not going to be much fun," Anderson says. A new round of ugly headlines on this topic would likely cause volatility in the market, he says. In the longer term, the aging population in the U.S. and Europe is a worry as well, Anderson says. "If you have a shrinking population, it's pretty hard to grow an economy." Why to ask this: It's hard to predict how and when long-term trends like this will play out, and almost impossible to predict how they'll impact the markets. This is where diversification helps soften any potential blow to an investor's portfolio. ​2. What's Today's Role of Income and Dividend-Paying Securities? Interest rates have remained so low for such a long time that many investors have gravitated toward utilities and other dividend-paying stocks, says Tom Samuels, a managing partner at Palantir Capital. "I would be curious as to [Buffett's] take on the role of income in a portfolio, because he has tools available to him that most investors don't have," Samuels says. Berkshire Hathaway owns multiple insurance businesses, which generate steady income through their customers' premium payments. Samuels says he'd also ask whether, given that Berkshire's own growth is likely to slow in the future, it might be in investors' interest to announce a dividend. "Has the opportunity set shrunk enough that the best thing for shareholders would be to get some income?" Samuels asks. Berkshire Hathaway has held shares of Coca-Cola (KO) for years. Buffett calls it one of his "Big Four," one of his top, high-conviction investments. But growth in the consumer goods sector has slowed recently, says Samuels, adding that he'd ask Buffett if he still anticipates healthy growth in this sector. Buffett "hasn't been as keen on the more cutting-edge technology or health-care plays," where more rapid growth might be found, Samuels says. "There is a strong indication that we can't burn all the fossil fuels that we already know that we have," says Roger Streit, a certified financial planner with Key Financial Solutions. "At this point, it's really hard to ignore the science." The more difficult question is what, if anything, investors should do about it. Streit says he doesn't want to sacrifice diversification, but he has been looking into socially responsible investing vehicles that would limit investors' exposure to fossil fuels. Berkshire Hathaway did sell its Exxon Mobil (XOM) shares last year, but it still owns shares in other energy sector companies. Yes, over the last 50 years, Berkshire's performance has been outstanding. But in four out of the last five years, it has underperformed the S&P 500 (^GSPC) by what has traditionally been Buffett's preferred measure, book value per share growth. In his 2014 annual letter to shareholders, Buffett reported not only book value but also per-share market value change, a measure by which Berkshire has only underperformed in one of the last five years. Aaron Gubin, director of research at SigFig, says he would ask Buffett about the timing of this change; why begin reporting per-share market value today, when Berkshire has operated under fundamentally the same organizational structure for decades. Why to ask this: In this year's letter, Buffett noted that investors should not expect the next 50 years to repeat the last 50; a company as large as Berkshire Hathaway cannot grow at an average of 20 percent a year indefinitely. However, investors have a right to ask whether the company is likely to outperform the market, and by what measures.